Wouldn’t you know it, just when I had deciphered the nearly incomprehensible leader board at the Olympic Club… the US Open was over. The Club posted scores the old-school way; A couple of guys had stacks of cards with either players’ names, or red and black numbers, on them and updated the scoreboard manually based on instructions coming through their earpieces. Jumbotron? What’s a jumbotron? Kind of low-tech, when you consider we were just a stone’s throw from Silicon Valley. But it was rewarding too, in a way. When I was ultimately able to make out who was in the lead and his score for the tournament, I puffed up a little like I’d cracked a secret code. 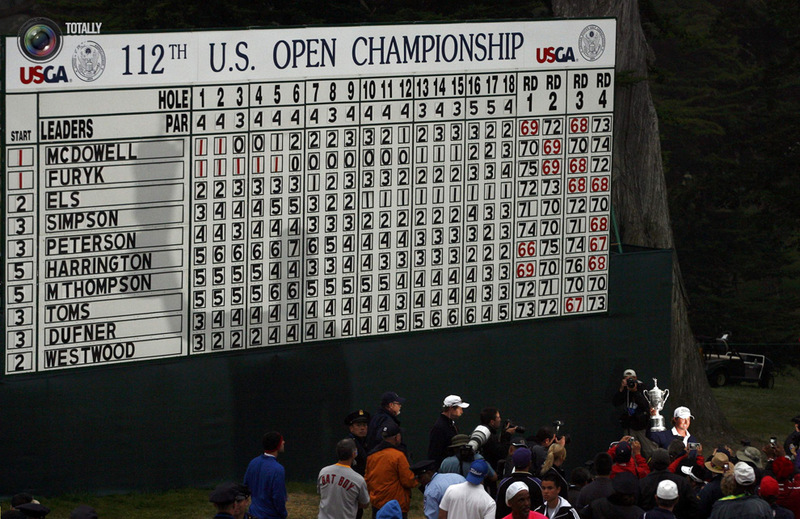 Maybe I was having so much trouble reading the scoreboard on the final day because I’d spent four hours in the wind and fog in the grandstands at the 18th. I am only now regaining feeling in my fingers and toes. There’s a rumor that it was toasty in other parts of the Bay Area on Sunday, but I saw none of it. Behold the microclimate. And so my US Open week has come to a close. I have hung up my fanny pack – the only bag-ish thing in my closet that met the 8”x8”x8” size limit strictly enforced by the Olympic Club. It smarts to know that I had such an awful, unflattering item from the 80’s still in my closet. But let me be clear — I carried it over my shoulder like a tiny purse. I swear, that thing was not once worn in the traditional around-the-waist manner. I HAVE standards! Golf fans are good fans. They are courteous and well-behaved. Case in point: On Friday I was in the crowded stands at the 7th, and a man stood to catch a glimpse of Tiger Woods on the 9th. Some patrons seated further back did not feel like rising to the occasion, however, and shouted for him to sit down. Things got a little heated, and a gentleman sitting near me became pretty insistent. 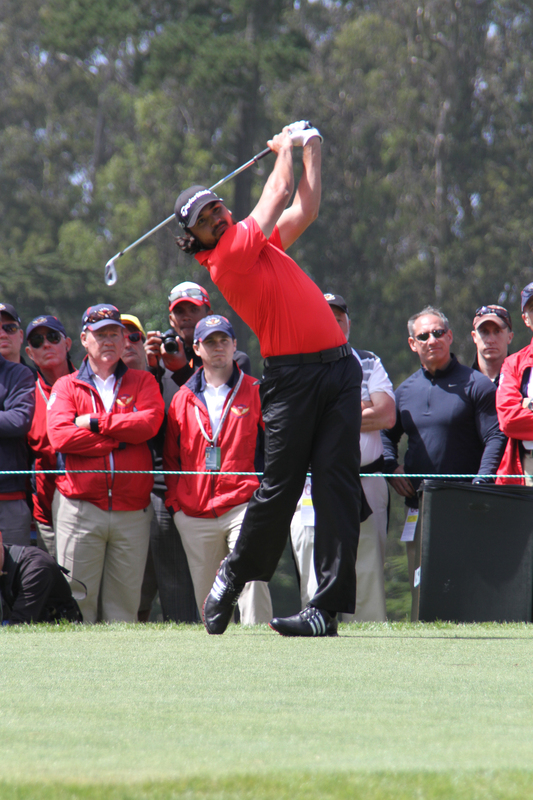 Standing man said he wouldn’t sit until after Tiger’s tee shot, because otherwise he couldn’t see. So my neighbor loudly called him a jerk. I kid you not. Just that — a jerk. Standing man look wounded. He replied, “That’s not fair, sir.” Then… he took his seat. No punches or concession food thrown, no curse words hurled. And so I say, golf fans are good fans. I wish the course hadn’t been so difficult. So “extremely penalizing”, in the words of Phil Mickelson. Watching the world’s finest players struggle to reach the green, and miss putt after putt, was at times a little tedious. But I’m glad I stuck it out to the bitter-cold end. The photo-finish was worth it… even if cameras were prohibited for the likes of me.